When I have such a bad day, I wonder why this happened and what my defect is. Yes, I'm sure I'm not in good mood right now. I don't like myself right now... I'm getting weaker again. I feel so lonely easily... I wasn't like this before. I have to be strong. Strong and cool woman. That's what I wanna be. Hang in there, someday it will pay off. It was so hard for me to walk with that foot, but I really wanted to watch it! It was a really cool movie. They are awesome!! 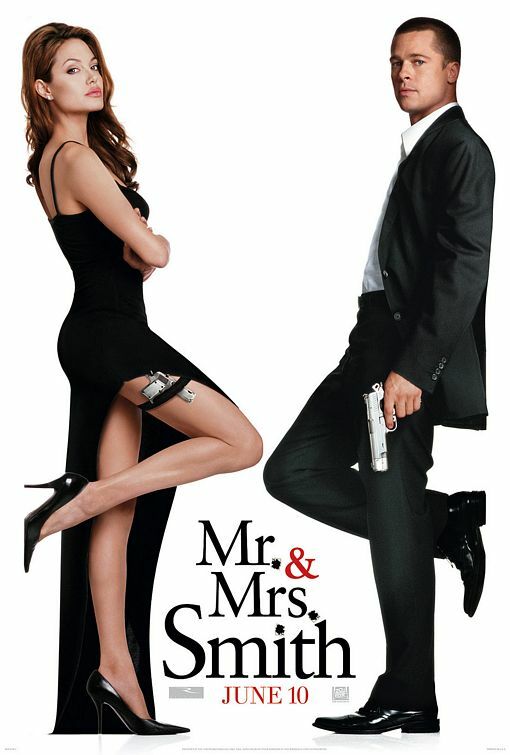 I think Angelina Jolie and Brad Pitt are a great couple. I really liked their combination. Both of them are beautiful and handsome, smart, and physically great. Anyways, this is a really good action comedy. For those of you who don't watch this movie yet, I recommend it, just watch it! I wanna watch it again. I love Angelina and Brad!! which is the one my friends are living in. I just took some pictures with my housemates and said "goodbye and call me when you're having a party!" but this time, I was super busy while I was in this house, so I couldn't spend enough time with my housemates. But oh well, they were too quiet and not outgoing anyway. They weren't the roommate I was expecting... so it's okay. They were nice though, and it was good to know the people from other countries. I could know more about other cultures. And now, I'm at the ghost house... oops sorry, a very old house. Actually, there are ghosts in this house... some people could see them. I can't see ghosts, so it's okay for me... but it's little bit scary. I'm gonna live here for two months, and look for the new place while I'm here. and I still need to speak more English... so I think I should look for the share house again. Ahhh, I'm so tired. I can't believe the school starts again from Monday! 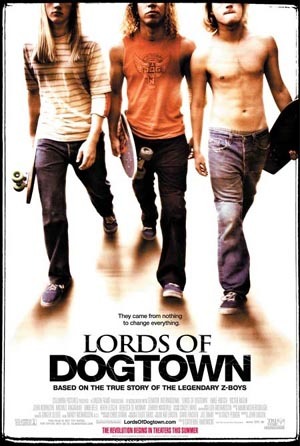 I went to watch the skateboard movie "Lords of Dogtown". It was so cool movie man! All of the movie is about skateboading... I've never seen such a cool movie. I saw lot of cool tricks, and high level skating in this movie. I was just so excited to see them with a big screen. It was awesome! The characters were hella good at skating... and they can act well too. Amazing. Anyways, I totally fell in love with this movie. I love Z-BOYS! My boyfriend has met one of them... he was much older though. hehe. The story was simple because this is based on the true story, but I liked it a lot. I felt it was real. Nothing very surprising or sad, but it is the reality, you know. Mmm, it's like a super great skate video. You should watch it if you like skating or skaters! I'm gonna work hard on skating from now on. I wanna do olie at least in the near future!! Mmm, my body is in danger... I'm freakin' tired. Last quarter was hard too, but this quarter is just so crazy. I had those crazy weekend classes' assignments due and Audio class' final. So I couldn't get sleep... I just took a short nap. On this crazy day, I couldn't get to see my baby boy... such a bad day. I don't wanna have them... but I have to. I have to write composition for music theory class too. Still gotta do many things huh. Ahhh I want this week over sooooo bad!! Tonight, I will go to bed soon! ...Maybe.